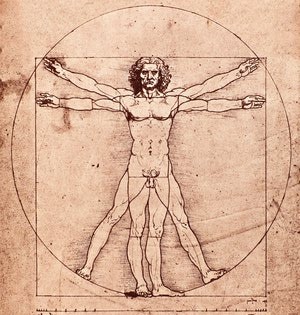 Vitruvius recommended a model based on the human body. He observed that all humans are shaped according to precise proportions. Later, scientist recognized that this the ratio (1.618) prevails in every part of nature. Geometry in architecture from the pyramids of Giza to the Empire State Building in New York, showcases the same essential ingredients as our bodies and all of nature. These principles of geometry are not limited to great monuments; but they shape all buildings in one way or another. Some believe that when we recognize these geometric principles and build upon them, we create structures that comfort us physically and spiritually.